Matthieu Brien had pleaded not guilty to the charge that stemmed from an altercation with Trudeau during celebrations of Quebec's Fête nationale last June. The charge was dropped and Brien was acquitted by a judge today after agreeing to a condition that forbids him from communicating privately, either directly or indirectly, with Trudeau. 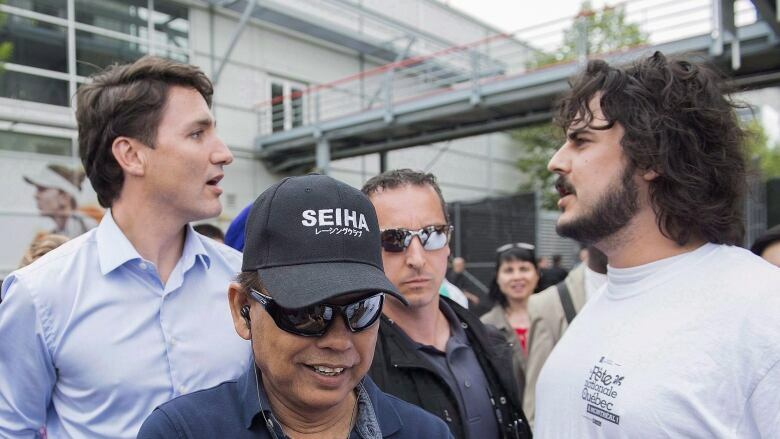 Brien confronted the prime minister as he was greeting citizens in a park in Trudeau's Papineau riding and suggested the federal leader didn't belong there on the Quebec holiday. Brien later announced he would seek the Bloc nomination to run against the prime minister in his Montreal riding. Brien lives in the riding and unsuccessfully sought the Bloc nomination there in 2015.